Historic Port Royal, Inc., a 501(c)(3) organization founded in 1995, invests in Port Royal by restoring historical, non-privately owned structures, operating museums, and keeping alive the town’s legacy and rich history. 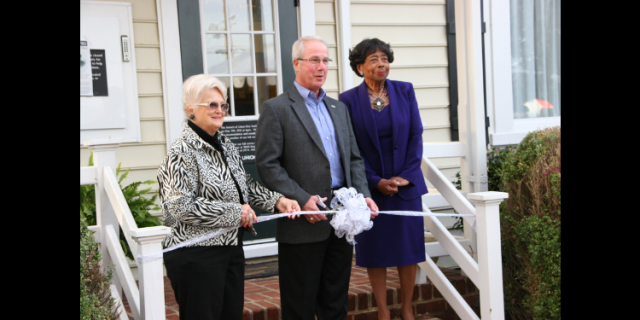 In 2012, Historic Port Royal, Inc. opened “The Port Royal Museum of American History” to welcome visitors to the Town of Port Royal in a way that captures and excites your imagination. The museum is located at 506 Main Street, Port Royal, Virginia 22535, and displays artifacts linked to the John Wilkes Booth capture, as well as other treasures preserved since 1744. For operating hours and additional information, click on PLACES TO VISIT PORT ROYAL MUSEUM OF AMERICAN HISTORY for additional information. “THE PORT ROYAL PORTRAIT GALLERY“, “THE PORT ROYAL MUSEUM OF MEDICINE”, and “THE OLD PORT ROYAL SCHOOL”. When the first Europeans settled Port Royal in 1652, the area was wild and largely uninhabited, even by Native Americans. The first settlement was, at first, a small fort built along the Rappahannock River. As land grants were chartered and settled, the sylvan lands transformed into farmland and tobacco fields. A royal tobacco warehouse, established along the Rappahannock River, became the hub of commerce in the burgeoning town. Inland farmers would bring their tobacco up the rolling road to this warehouse where it was graded, weighed, and shipped to England. The town grew as an important center of commerce and trade with the increasing need to provide food, lodging, and services to those who traveled by land and water. In the autumn of 1744, the Town of Port Royal was chartered. With the onset of the Civil War, Port Royal men enlisted in the 9th Virginia Cavalry, the 47th Virginia Infantry, and the Caroline Light Artillery. In May 1863, elements of the 24th Michigan and 14th Brooklyn Regiments attacked the town. In May of 1864, Port Royal becomes a supply depot, as the Army of the Potomac moved into and through Caroline towards Richmond. In May 1863 Port Royal became a supply depot for the Army of the Potomac. In April 1865, John Wilkes Booth, infamous for the assassination of Abraham Lincoln, sought refuge at the Peyton-Brockenbough House on King Street, and was later captured and died a short distance away. The 20th Century saw a rise and fall of businesses due to changing traffic patterns from Route 301 to I-95. A resurgence of interest in the town’s restoration began in the 1970s and continues today, through efforts of concerned home owners and the driving force of Historic Port Royal.